There’s been a lot going on, but the focus of activity has moved. Consolidation in the engineering sector looks played out, but there is a lot of movement in chemicals and technologies. Bill will help in navigating the ever shifting landscape of M&A in water. The Summit zooms out for an international perspective of the global water market. GWI’s Publisher, Christopher Gasson, hosts a panel of industrial and municipal water sector experts with a discussion of what the North American water sector must learn from the rest of the world. 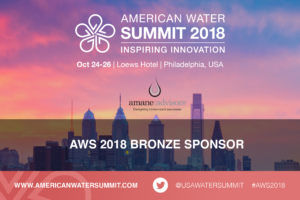 Thierry will be on the panel together with Sue Murphy (Water Corporation, Australia), John Gibson (Veolia North America), and Heiner Markhoff, (Suez Water Technologies & Solutions).